At Tri-Parish Door & Supply Co., we know high-quality development and renovation. Our expert staff, holding nearly 40 years of experience in the industry, is made of specialists who are committed to making your dream home a reality. Since our doors opened in Southeast Louisiana in 1996, we have partnered with hundreds of contractors and builders and the general public to create outstanding finished products. Providing a complete package of windows, doors, trims, and more, our customers never have to worry about finding the best products needed to obtain their desired application. As a locally owned, state-of-the-art service center and modification shop, our goal is to ensure every customer receives personable and professional service throughout the entire process of their project. We pride ourselves on offering not only a number of choices but also superior client service. Here, you are not merely a customer; you are family. When you have a need, it is our top priority to meet it in a way that exceeds your expectations. WE OFFER IN-SHOP ALTERATIONS TO ACCOMPANY YOUR PURCHASE. Along with our many products available to you, such as doors, door hardware, windows, moldings and trims, we also offer in-shop door alterations that you will not find at any major retail company. Our in-shop alterations include the following: odd size jambs, cut outs for pet doors, special size sidelites, special size transoms, cut down doors, and much more. We center our expertise on a particular number of products and services, guaranteeing you and your home are in safe hands. At Tri-Parish Doors & Supply Co., we want the interior of your home to look as fabulous as the exterior. Whether you are looking to begin new construction or remodel a portion of your home, we provide interior doors that will accommodate a variety of tastes. The door is the first impression one has on the appearance of your home. 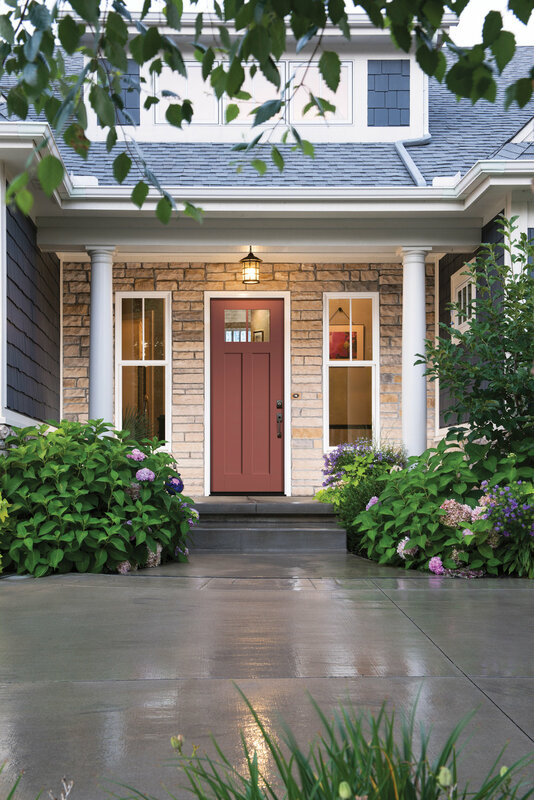 At Tri-Parish Doors & Supply Co., we offer a wide variety of exterior doors, including metal, wood, fiberglass and patio options, that are sure to improve your home’s curb appeal. Offering hardware for barn doors, pocket doors, bi-fold doors, closet shelf brackets, and door knobs, we have a number of options, designs and colors available to help make your home come to life. At Tri-Parish Door & Supply Co., we pride ourselves in opening doors to your dream home. We provide door knobs and customized door hardware to assist in delivering you the best door for your home. Considering building a home? Wanting to upgrade your office space? Bring your building plans to our location and we'll give you a free consultation. And don't worry. If you can't come in, ask us to come to you. We'd love to be apart of your building story.